Shannon’s athletic background began in the equestrian sport of Three Day Eventing. She competed nationally and internationally successfully for approximately fifteen years. Shannon also coached riders of all ages and levels during this time, and gained her NCCP Coaching certification in 2002. More recently, Shannon has been focused on running. She has raced distances from the 800m to ultra trail events and almost everything in between. Running continues to be a passion for her. As an athlete and a coach, Shannon has always been fascinated by the psychology of achievement. 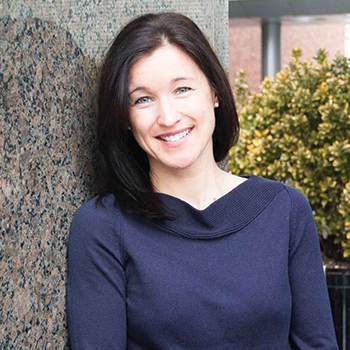 Her interest regarding the power of the mind to impact an athlete’s performance and overall experience drove Shannon to complete an undergraduate degree in psychology, and more recently a Masters in Applied Positive Psychology from the University of Pennsylvania. Positive psychology is the science of human flourishing and high achievement, and offers a wealth of resources from which Shannon draws to help athletes find the performance they are seeking. Her current research focuses on the contribution of a “love of challenge” to performance improvement, and the psychological aspects of exertion pain management. Shannon currently spends a great deal of time with the Division I student athletes of Northern Arizona University. She works extensively with ten different sports in both team and individual formats. Shannon also consults with professional athletes both in Flagstaff, and across North America. She has a great deal of experience and success with runners in particular. Shannon also continues to research the “critical skills” (the mental skill that makes or breaks an athlete in their particular sport) particular to several sports, with the intention of helping athletes thrive in these moments. Her current area of focus is the moment of highest exertion for distance runners. © Copyright HYPO2 Consulting, LLC All Rights Reserved.